So, last week I participated in my first Netrunner tournament (actually my first game tournament ever!). I’ve only ever played Netrunner against Heinze in the comforts of our home. So this was quite a big step for me. I find Netrunner a very, very hard and slightly nerve wrecking game. My brain tries to grasp all the possible aspects of the playing field. If this, then that. If this, then that. If this, then that. Endless calculations and mapping of my (and my opponents) possible moves. I had to train myself in making quicker decisions with a timer. The actual tournament went really well! It was a small casual tournament organised by our local gaming/comic book store Comicasa and only six people participated. Alas, there were no breaks for me between the first rounds, so I ended up playing Netrunner for three hours straight before starting the finals. I think I now know how a runner feels when getting brain damage. That was intense. And no, you don’t get to judge me on my choice of card sleeves! What are your favorite card sleeves? Thank you! The guys of Tiny Cartridge were kind enough to share it on Reddit for me. Hi Rachel, I really like your comic, I hope you continue drawing and writing more! Hope to maybe see you at a tourney someday! Hey Dirk, thanks for the compliment. I’ve got plenty more ideas for comics, so I hope I can keep making them for a long time. And thank you for pointing out other Dutch Netrunner players to me! Hahah. Feels about right. Dat Tilt! No lie, I use those exact same grumpy cat sleeves on one of my decks! TWIY and Kit? What were your deck lists? Nice comic, btw. Really cool. Deck originally based on a world tournament deck, but I took out and added some cards after play testing it. I really liked how the deck gave me two ways to win: either to take out a runner with Scorched Earth after tagging them with Midseason Replacements or to win by actually scoring agendas (lovely combination of Astroscript Pilot Program and the smaller agendas). A deck that I actually contructed myself, although it’s probably not very original. It’s completely focused on running the R&D to steal agendas. Dinosaurus hosting Yog (that’s also boosted by a Personal Touch) practically moves through pieces of ice for free that I turn into code gates with Paint Brush. Oh and I get to access more than one card thanks to R&D Interface and The Maker’s Eye. It’s mean, but fun. 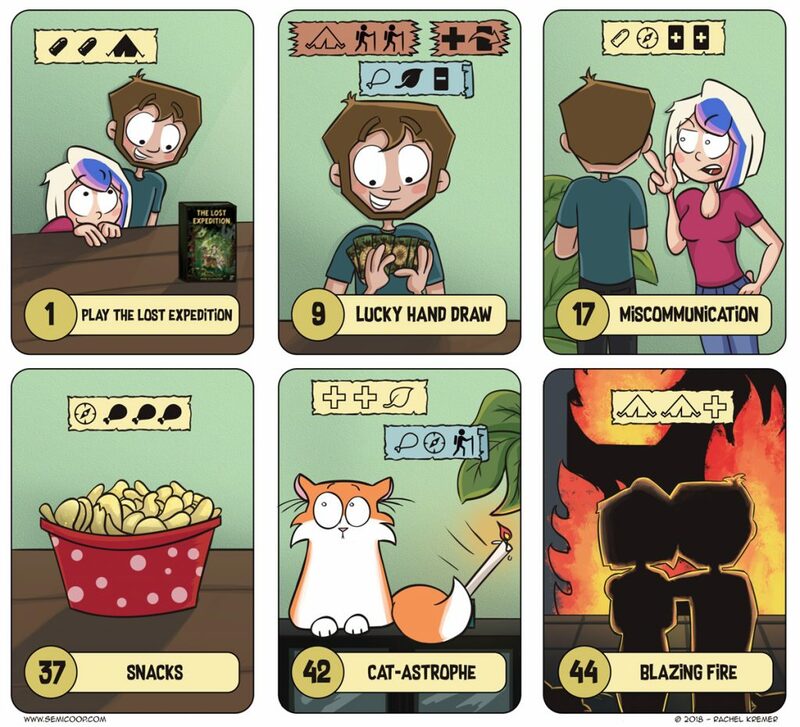 Also found the webcomic via netrunner reddit. I love it, keep up the great work. Thank you! So far, it has been lots of fun. And Guy Fawkes does seem like the logical sleeve choice for a runner deck, nice! Running with a derezzed corp identity? Diabolical! LOL! Haha, yes, a little mistake in the comic. I was waiting for somebody to notice and make a remark about it. I like the official Netrunner sleeves FFG has released – especially if everything is sleeved as Snare!s. That is what you call psychological warfare 🙂 Too bad that there are no proper Shaper sleeves though – I would love to have sleeves showing Chaos Theory riding on Dinosaurus (Explatory Romp)!